I just saw a jaw-dropping trailer that didn’t just prove director Zack Snyder was saving the best for last, but rocketed the film to the rank of most anticipated superman film in a long time. As even more evidence that the Superman story speaks to comic fans and the uninitiated alike, the approach taken by Snyder – just focus on the story, not the fans – seems to be paying off. 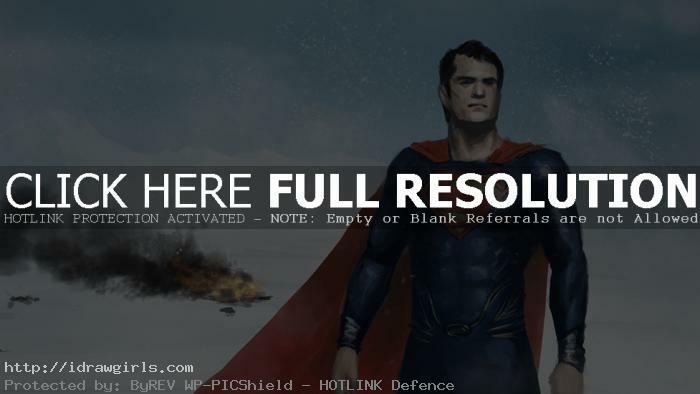 Here is a final speedpainting of Man of Steel. Watch a video tutorial how to paint Man of Steel. Below are step by step painting process to help you understand along with the video tutorial. At this stage, I start painting over gray scale with color. Heya, I’ve recently found and watched your videos and they’re certainly awesome. I managed to pick up a few tricks thanks to you. I’ve been very comfortable drawing, shading and colouring via traditional medium for years now, and recently decided that I should step out of my comfort zone and try to master digital as well. I can’t say I’m very good at this, but I’m hoping you could give me a few tips (if you don’t mind). I do have that tendency (as you mentioned in your video) to work too much on tiny tiny aspects of my digital art till everything looks weird and I waste so much time just trying to portray something simple. Any tips on how to optimize colouring time so I can practice on more pieces instead of spending weeks on a simple portrait? Also I would appreciate it if you could tell me what kind of brush presets you would recommend (in general) since I see noticed that you weren’t using the standard brush presets that come with photoshop. I’m using CS4 by the way. Thx buddy but they are not, FAR from it. There are always room to improve and many mistake, but I do get the point across. I have some around here. But honestly I do not see any different since I always paint over the line drawn. I am not interested in keeping the line art. It’s more comics style than painters or concept art. Ah, I don’t really know what to say. Do you realize I have over 300 videos and some of them have all the layers shown? Maybe you should take some time and go investigate? FYI: Layers or effect or fancy is NOT the key, they are just tools to speed up your process. Understanding correct drawing or shapes, value and edges. Those three elements are the KEY KEY KEY to all painting method. The rest of technique in PS are just tools to make it easier and faster on your workflow that could not be achieve in traditional painting. Hi buddy, it is Photoshop or you can use gimp with Wacom tablet. Did you read the post or check the left column of the blog? I am pretty sure I said something about it there. hey what program do you use for your painting???? Your tutorials are certainly worth watching and yet frustratingly incomplete. I would like to see your layers window as you work. This would go to the heart of the process of painting in PHOTOSHOP specifically-that’s the key.